David Tipple said in a statement that he has provided police with the purchase records and full details of the sales, which did not include military style semi-automatic weapons. Tipple said he and staff are “dismayed and disgusted” by Friday’s shootings. We detected nothing extraordinary about this (gun) license holder. 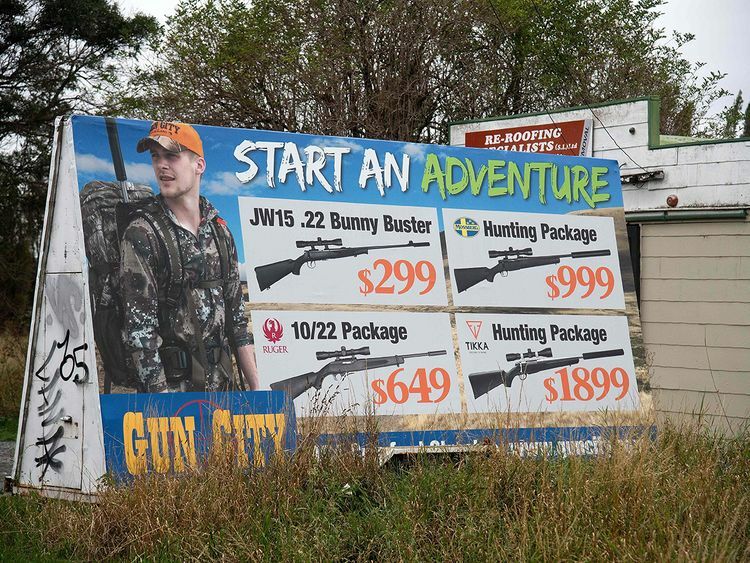 The store has been criticized for leaving out a roadside advertising billboard that shows a parent helping children with rifle target practice. An Australian man has been charged with murder in the attacks at two Christchurch mosques. New Zealand Prime Minister Jacinda Ardern on Monday announced her cabinet had agreed to measures to tighten gun control laws in "in principle", and would roll out the reforms within days. "We have made a decision as a cabinet, we are unified," Ardern said, also announcing an inquiry into the mosque shootings in Christchurch on Friday that left 50 people dead.